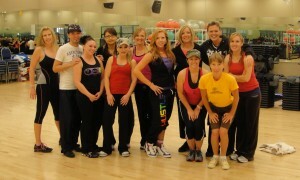 HUSTLE Training was a HIT in Farmington, New Mexico! WOW! What an AMAZING weekend! I had the priviledge of presenting Chalene Johnson’s Hip Hop HUSTLE Instructor Training this weekend in Farmington, New Mexico. What a great crew! This is the second time I’ve been to Defined Fitness in Farmington and have had such an amazing experience both times! Everyone is SO welcoming, friendly and generous! HUGE props and thanks to Rebecca, Christy and Jenni for taking such great care of me every time I visit! Such beautiful and kind hostesses! We learned HUSTLE 10 and this crew picked it up quickly and made the day SO much FUN! It was so great to see the principles of HUSTLE in action! The idea is that ANYONE can HUSTLE! This format is for the beginner as well as the seasoned dancer! This pre-choreographed format is simple to learn – simple to teach! I’ve only been home for a few days and have already heard from many of the participants that they are so pumped to teach HUSTLE and are practicing non-stop for their upcoming classes! I just can’t wait to hear how HUSTLE is rockin’ it in Farmington! I say it EVERY YEAR… to everyone I talk to, in preparation… and it’s ALWAYS true! Camp gets better and better every year! It’s always more amazing then the previous year! And again, this year, Chalene, Bret and the entire Powder Blue team did not disappoint! It’s just an indescribeable amount of energy brought by over 400 people who all share a passion for fitness, Turbo Kick, Hustle, PiYo and simply becoming a BETTER YOU! ﻿ In an effort to make Camp organized, but also as a way of fostering a personally connected experience, we create teams and I’ve been honored and priviledged to be a team captain for the PINK team for the past few years (Pink Poison, hot pink, inc. and HOLLA PINK). Being a team captain is truly one of the highlights of my year! It’s something I absolutely look forward too! And I won’t lie… I plan for it all year long! I’m always on the scout for what our team captain outfits will be, and team goodies that will enhance the enitre Camp experience. And I’ve been able to share every year with my good friend and this year’s APD of the Year – Bridget Frederick! But the fun really begins when we receive our team lists! This is when we find out who is on our team and can start communicating and making connections with everyone that will be coming to Camp. It’s such a fun way to start the Camp experience off to a great start! …and well, that’s all I can say… cuz some things are just a secret! Unless you’re on the PINK team! Bringin’ the CO to the OC! ﻿ I think one of the reasons that this year was exceptionally special to me was that we had SO many of my Colorado peeps able to attend! It’s been SO cool too see how the fire has spread across Denver and Colorado for Camp Turbo! 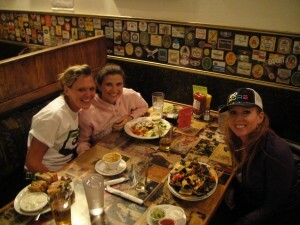 2 years ago, we only had a few of us from Colorado represent… then last year we had about 10, then this year… TWENTY!!! Can’t wait to see next year!!! This year I got to room with my CO girl Cat and her sissylala Susan from Texas. It was too cool for us to watch Susan settle into the crazy high energy, as this was her first time to Camp and live Turbo workouts! Before long, she was leading the rest of us in HOLLA PINK chants and rockin’ the PINK attitude! The first workout on Thursday is always a SHOW with a SHOT of crazy energy where Chalene makes her first appearance and people go nuts! All of the workouts throughout the weekend are amazing! TURBO, PiYo and HUSTLE – all at a super high pace and bringin’ the sweat on. The Friday night Fashion Show is always a super exciting event with the new line of Turbo Wear unveiled in a fantastic show that featured a “mosh pit” where I got to sit front and center for all the action! This year we also celebrated National Dance Day by doing a special Hustle dance that Chalene, Monica and Alee choreographed and taught to us. 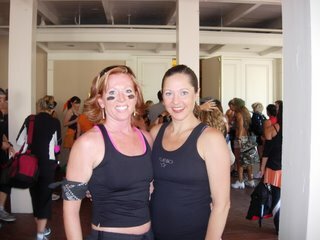 We filmed it and submitted it to So You Think You Can Dance to show that adults can have fun dancing and being fit too! Every year we also get to “compete” against the other teams – and this year Bridget put together an awesome combination of PiYo, Hustle AND Turbo – and the PINK team ROCKED it out! You can see it above in my video. 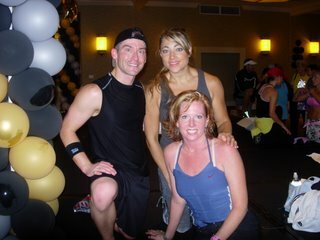 And of course the Saturday night is mc’d by the crazy-fun tough-love trainer Monica at the Dance Party! 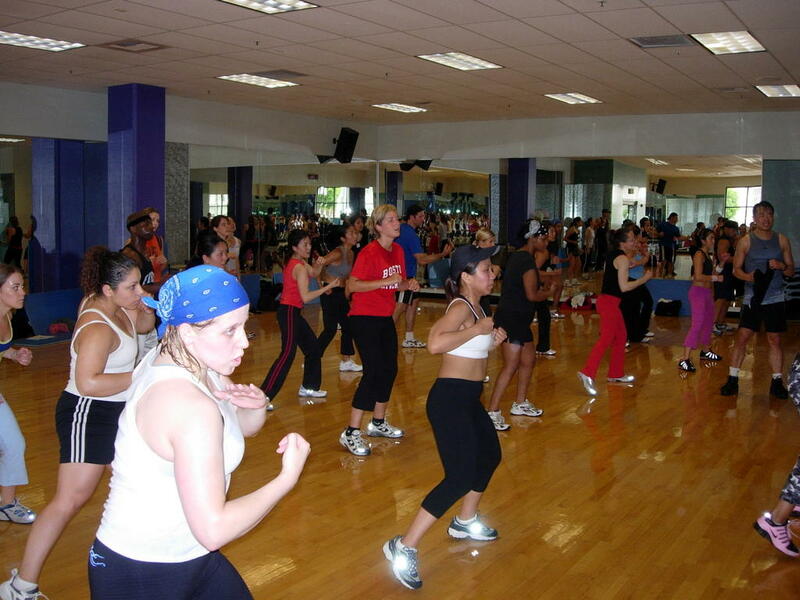 Just another excuse to dance off a bucket load more calories and sweat! But honestly, the absolute highlights of the entire week are the speakers and the friendships and connections that you make. Chalene herself has such a positive, uplifting and motivating message to share that cuts to the heart and resonates within. One of my favorite quotes from this year, “DO YOU! but BETTER” This year Winn Claybaugh also shared his great message from his book “Be Nice or Else” and led us through a powerful exercise of taking ownership for our mistakes and asking for forgiveness. Having waited this long to write about Camp, I realize that I’m forgetting to include a TON of the moments that we all shared over that weekend… but the bottom line is just that… we SHARED an AMAZING experience together – and it’s a special bond that is priceless. I am always blown away by how many fun, kind-hearted, fun-loving, fit-loving people there are in our ever-growing Powder Blue family… and I can’t wait to see how it continues to grow! Hope to see you there next year! Of course, I would LOVE to have ya on MY team… but regardless… find a way to get there! You will never regret it! Believe it! What To Expect at Camp: Meet & Greet Incredible Workshops Mind-Blowing Workouts Motivational Lectures Fashion Show Dance Party Special Performances Team Activities Shopping New Friends Food FUN! Camp TK – FABULOUS experience!! What an AMAZING experience Camp TurboKick was! If you didn’t get an opportunity to attend this year – start planning ahead for next year!!! It will be even MORE amazing!! Fellow APD friends Sean, Mindy, Amanda and Quirina and I having an opportunity to reconnect TURBO style!! 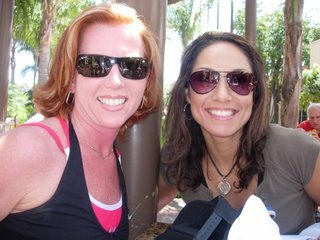 And of course, a moment with Chalene and new APD Jackie! Turbo Kick™ Instructor Training THIS weekend!! We’re holding a Turbo Kick™ Master Class THIS MONTH to promote our upcoming Turbo Kick™ Certification in July! 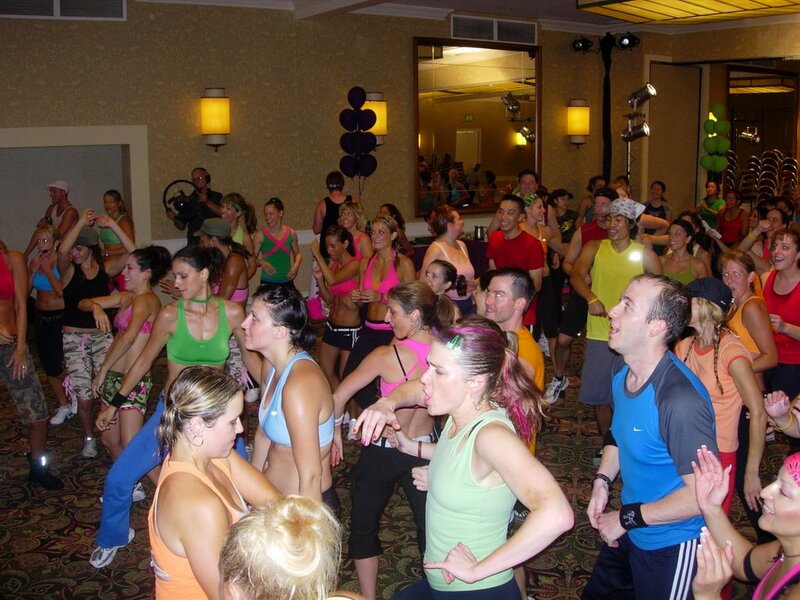 It will be a great opportunity to kick off your weekend with a party – TURBO style!! This class is FREE and is for EVERYONE!! Come check it out! If you decide to register for the upcoming Turbo Kick™ Instructor Training Certification, you’ll get an AWESOME discount (that night ONLY)! Seriously, DON’T MISS OUT! You don’t have to be an instructor – just come on out to party, sweat and have a great time Turbo Kickin’ off your weekend – Happy Hour – TURBO STYLE – with the hottest music and high energy moves! P.S. If you’re already TK Certified – this is a FUN chance to just come party with rest of us and show off your moves!! Don’t be shy! Come on out and play! Invite and Register your friends too! The MORE the MERRIER! !